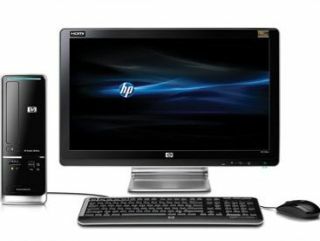 Worldwide PC shipments were down five per cent in the last quarter, according to the latest figures from analysts Gartner. Preliminary figures from Gartner suggest that shipments totalled 68.1 million units, which is significantly down year on year, and continues the trend for the year. "In the first quarter of 2009, inventory re-stocking played a major role in shipment growth, but this was less of a factor in the second quarter," said Mikako Kitagawa, principal analyst at Gartner. "PC shipments in Asia/Pacific and the US were better than our expectation, while shipments in the Europe, Middle East and Africa (EMEA) region indicated on-ongoing weakness." Hewlett Packard – the world's biggest PC maker – was at the head of the table for shipments with 19.6 per cent of the market, followed by Dell (13.6 per cent), Acer (13.5 per cent) and Lenovo (8.4 per cent) – and Toshiba in fifth with a five per cent market share.